Have you ever been to Disney World without enjoying a Mickey ice cream bar? Of course you haven’t! 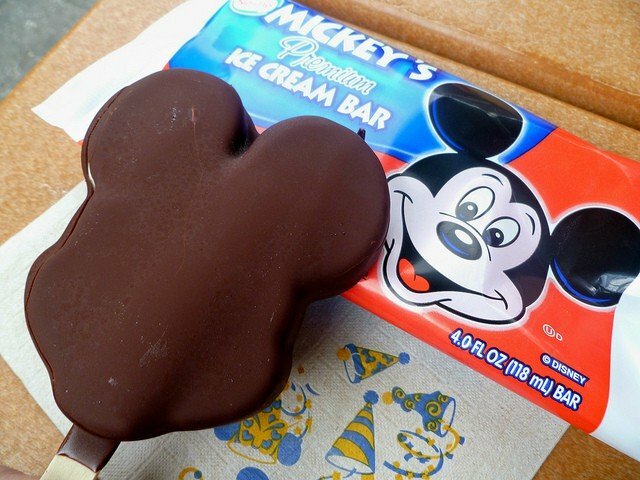 It’s not possible—the frozen ice cream treat in the shape of the beloved mouse who started it all is dipped in chocolate, and while there’s nothing fancy or exciting about its ingredients, we think that Mickey himself makes this cart food the best in all the (Disney) World!